As our technology improves, our demand for power will increase. I have no idea what we’ll use it for, but I guarantee we’ll want it. Perhaps we’ll clean up the oceans, reverse global warming, turn iron into gold, or any number of activities that take massive amounts of energy. Fossil fuels won’t deliver, and they come with some undesirable side effects. Nuclear fuels will only provide so much power until they run out. We need the ultimate in energy resources. We’ll want to harness the entire power of our star. The Soviet astronomer Nikolai Kardashev predicted that a future civilization might eventually harness the power of an entire planet. He called this a Type I civilization. A Type II would harness the entire energy output of a star. And a Type III civilization would utilize the power of their entire galaxy. So let’s consider a Type II civilization. What would it actually take to harness 100% of the energy from a star? We’d need to construct a Dyson Sphere or Cloud and collect all the solar energy that emanates from it. But could we do better? Could we extract material directly from a star? You bet, it’s the future! This is an idea known as “stellar lifting”. Stealing hydrogen fuel from the Sun and using it for our futuristic energy needs. In fact, the Sun’s already doing it… poorly. 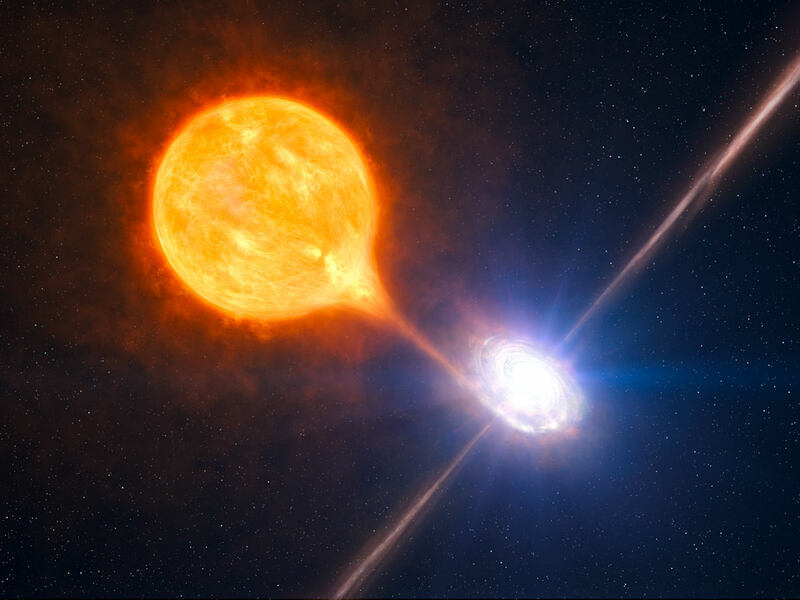 Stars generate powerful magnetic fields. They twist and turn across the surface of the star, and eject hydrogen into space. But it’s just a trickle of material. To truly harness the power of the Sun, we need to get at that store of hydrogen, and speed up the extraction process. There are a few techniques that might work. You can use lasers to heat up portions of the surface, and increase the volume of the solar wind. You could use powerful magnetic fields to carry plasma away from the Sun’s poles into space.Which ever way it happens, once we’ve got all that hydrogen. How do we use it to get energy? We could combine it with oxygen and release energy via combustion, or we could use it in our space reactors and generate power from fusion. But the most efficient way is to feed it to a black hole and extract its angular momentum. A highly advanced civilization could siphon material directly from a star and send it onto the ergosphere of a rapidly spinning pet black hole. This is known as the Penrose process, first identified by Roger Penrose in 1969. It’s theoretically possible to retrieve 29% of the energy in a rotating black hole. Unfortunately, you also slow it down. Eventually the black hole stops spinning, and you can’t get any more energy out of it. But then it might also be possible to extract energy from Hawking radiation; the slow evaporation of black holes over eons. Of course, it’s tricky business. A Type 3 civilization would be so advanced, with such a demand for energy, they could be extracting the material from all the stars in the galaxy and feeding it directly to black holes to harvest energy. Feeding black holes to other black holes to spin them back up again. It’s an incomprehensible feat of galactic engineering. And yet, it’s one potential outcome of our voracious demand for energy.